Honda vehicles only. Prices may vary depending on condition of vehicle. Not valid with any other offer or discounted service. Must present coupon when order is written. Valid only at Norm Reeves Honda Superstore Irvine Auto Center 16 Auto Center, Drive Irvine, CA 92618. Plus tax and hazardous waste fee. See dealer for details. Expires 4/30/19. Honda vehicles only. Must present coupon when order is written. Limit one coupon per person. Includes up to 5 quarts of oil and filter. Not valid with any other offer. Plus tax, hazardous waste fee. Valid only at Norm Reeves Honda Irvine, 16 Auto Center Drive, Irvine, CA, 92618, 888-811-7049. Expires 4/30/19. Limit 1 coupon per transaction. Must present coupon at time of purchase. Valid only at Norm Reeves Honda Superstore Irvine Auto Center 16 Auto Center, Drive Irvine, CA 92618. May not be combined with other discount or offers. Prior sales excluded. See dealer for details. Expires 4/30/19. Honda vehicles only. Plus tax. Cannot be combined with other offers. Must present coupon when order is written. Valid only at Norm Reeves Honda Irvine, 16 Auto Center Drive, Irvine, CA, 92618, 888-811-7049. Expires 4/30/19. Honda vehicles only. Not valid with any other offer or discounted service. Must present coupon at time of purchase. Valid only at Norm Reeves Honda Superstore Irvine Auto Center 16 Auto Center, Drive Irvine, CA 92618. Plus tax and hazardous waste fee. Prior sales excluded. See dealer for details. Expires 4/30/19. Honda vehicles only. Plus tax. Cannot be combined with other offers. Must present coupon when order is written. 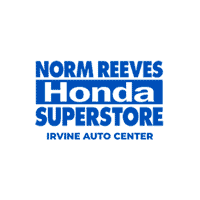 Valid only at Norm Reeves Honda Superstore Irvine Auto Center 16 Auto Center, Drive Irvine, CA 92618. See dealer for details. Expires 4/30/19. Honda vehicles only. Not valid with any other offer or discounted service. Must present coupon when order is written. Valid only at Norm Reeves Honda Superstore Irvine Auto Center 16 Auto Center, Drive Irvine, CA 92618. Plus tax and hazardous waster fee. See dealer for details. Expires 4/30/19. • Replace spark plugs with genuine Honda parts. Honda vehicles only. Must present coupon when order is written. Limit one coupon per person. Not valid with any other offer. Valid only at Norm Reeves Honda Superstore Irvine Auto Center 16 Auto Center, Drive Irvine, CA 92618. See dealer for details. Expires 4/30/19. Plus tax and hazardous waste fee. Honda vehicles only. Must present coupon when order is written. Limit one coupon per person. Includes up to 5 quarts of OW-20 oil and filter. Not valid with any other offer. Plus tax, hazardous waste fee. Valid only at Norm Reeves Honda Irvine, 16 Auto Center Drive, Irvine, CA, 92618, 888-811-7049. Expires 4/30/19. ‡Honda vehicles only. Must present coupon when order is written. Limit one coupon per person. Includes up to 5 quarts of regular oil, and filter. Not valid with any other offer. Plus tax and hazardous waste fee. Vehicles that use 0W-20 oil additional $10. Valid only at Norm Reeves Honda Irvine, 16 Auto Center Drive, Irvine, CA, 92618, 888-811-7049. Expires 4/30/19. Repair one dent up to the size of a silver dollar or one vertical or horizontal crease up to 3 inches. Dents and creases must be at least 2 inches from any edge. Honda vehicles only. Must present coupon when order is written. Not valid with any other offer or discounted service. Valid only at Norm Reeves Honda Superstore Irvine Auto Center 16 Auto Center, Drive Irvine, CA 92618. Plus tax. See dealer for details. Expires 4/30/19. Spend and Save on Everything! Offer is applicable for everything. Honda vehicles only. Must present coupon when order is written. Not valid with any other offer or discounted service. Valid only at Norm Reeves Honda Superstore Irvine Auto Center 16 Auto Center, Drive Irvine, CA 92618. Prior sales excluded. Plus tax and hazardous waste fee. See dealer for details. Expires 4/30/19. Honda vehicles only. Not valid with any other offer or discounted service. Must present coupon when order is written. Valid only at Norm Reeves Honda Superstore Irvine Auto Center 16 Auto Center, Drive Irvine, CA 92618. Plus tax and hazardous waste fee. See dealer for details. Expires 4/30/19.